Ah, the “pivot”. It’s not a failure if it’s merely a complete change in what you’re doing. You’ve heard about lots of high profile pivots, like Groupon (originally for charity fundraising), Flickr (originally a game), and PayPal (originally a type of stone fruit). But did you know that Context Optional wasn’t originally the Social Marketing pioneer that it eventually became? We actually pivoted twice. In retrospect, it’s clear that our first pivot failed because we were focused on what wasn’t working with our current product. The second pivot succeeded because we focused on what was working. To make my (I would say “our” but I need to fully take the blame for thinking SpotDJ was going to be huge) vision a reality, we raised a very small amount of money in the form of a convertible note. The idea, from the beginning, was that we would eventually raise a traditional Series A and the note holder would be included in that round at a discount. Just like every other company was doing at the time and is still doing. Over the next year or so, we put all our energy into growing SpotDJ. We formed partnerships, experimented with new ways of acquiring content, and slowly grew our user base. We were featured in TechCrunch, we had procured exclusive content from actual real bands like Metallica and The Donnas, and we even got a pat on the back from Apple. Meanwhile, we were out trying to raise money for a product that had launched but could not yet demonstrate “hockey stick” growth. Recognizing that something wasn’t right, Kevin, Grant, and myself grabbed a conference room to decide what to do. We talked about what wasn’t working, and focused in on a very clear downside of our product. We had a music app that didn’t have any music. All of the content was ancillary — you had to already have the songs. To address this, we decided to become one of a new breed of music services that let users upload whatever the hell they wanted. We mostly ditched the voice annotations and focused on playlist creation. We kept talking about a musical cupcake as our quintessential example. You’d be able to build a custom Flash-based cupcake (choose the flavor, filling, frosting, and sprinkles), upload a playlist, and send it to a friend or post it on your MySpace page. Genius! 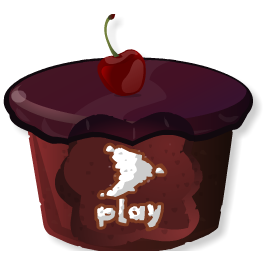 By May of 2007, we had our musical cupcakes (as well as customizable animated cassette tapes, standard-looking players, boomboxes, bunnies, etc. ), but we were close to running out of money. On some level, things were going pretty well. We had made deals to license a large amount of content, we had a more flexible and unique player design than any competing “playlist” services, and we could see that we were getting more traction than we had with the original idea. As we were continuing to burn through our VC contacts pitching a music service that had not yet catch on, Facebook launched the Facebook Platform. This was on a Thursday. On Saturday, I decided to try out the APIs. I took a very small feature from SpotDJ’s signup process and built an app out of it. We had this feature where, just for fun, we’d ask you a random question during signup. Something like, “What’s your favorite drink at Starbucks?” or “What’s the most annoying song in the world?”. If you answered the question, we’d add it to your public user profile and ask you another question. Truth be told, we had a lot of SpotDJ “users” who would sign up for the service, answer all of the random questions (which we didn’t think anybody would do), then never come back. I built a little Facebook app called “10 Second Interview” using that part of SpotDJ. You’d answer a random question and it would go on your profile. Then we’d give you another. Like I said, I built this on Saturday, two days after the Platform launched. By Saturday night, the app had somehow caught on at a Jewish High School in Canada. From there, I watched it spread to other schools in Canada before making its way to the US. That night, I would add new questions and immediately see that hundreds of people had answered it. This was before Zombies or Vampires or SuperPoke or Zynga and it was absolutely crazy to watch it grow. By Monday morning, 10 Second Interview was officially viral and its hundreds of thousands of users were killing the SpotDJ server. It was immediately clear to us that this Facebook thing was going to be big. So we paused development on the web-based SpotDJ and the (gulp) MySpace version to focus on Facebook. A few weeks later, we launched our music service on Facebook. It did well, and 10 Second Interview also continued to grow, but by then we knew that a bigger change was needed because we had no money and no prospects of raising any. Around this time, a few forward thinking marketers at a few consumer brands were starting to view Facebook as a place where they needed to be. This was before Facebook Pages, when the only real brand presence on Facebook were direct-sold ads. A small number of brands saw Facebook apps as a way to engage with customers and their friends. Some did this by sponsoring some of the more viral apps (SuperPoke, et al) but others had grand visions of building their own apps. Naturally, the brands looking to build apps went to the top app developers to see if they would do custom work. Every single app developer at the time was so busy growing, enhancing, and maintaining their own apps that they said no. Even if they wanted to take such projects, they were mainly VC-backed companies and one-off development would be seen as a non-recurring revenue source and a distraction from the real vision of building their own user base within Facebook. Of course, that didn’t apply to us. We had no cash and were thus totally open to the notion of doing some custom work to stay afloat. Furthermore, we actually believed (prior to anybody else) that brands would soon be spending large amounts of money on Facebook, and engaging in a much deeper way than simple display ads. By building some apps for them, we could keep the company going and also learn about what products and services brands needed. At the time, nobody believed this was a good idea. The conventional wisdom was that the way startups would be successful on Facebook was to build super viral apps (that they owned) and then create an ad network. There was a flurry of little acquisitions as early apps that showed growth were bought by RockYou, Slide, and SocialMedia. They definitely thought that there was an opportunity to work with brands, but they wanted brands as advertisers. We thought that brands would want their own ways to engage with their audience. We just didn’t know how yet, so we took on projects that seemed interesting to hopefully eventually build a product. And that’s precisely what happened. For the next 2 years or so, Context Optional worked closely with brands to help them design, build, and execute custom social engagements (i.e. Facebook Apps). We built most of the largest branded campaigns on the Facebook Platform. Along the way, we developed (and retained rights to) a platform that made building engagements easier and also provided analytics. Over time, the custom work funded development of a product (initially starting with two developers) that would become Context Optional’s Social Marketing Suite. By the end of 2010, we were mainly a product company. In 2011, we sold the company. It’s unclear if the acquisition adequately valued the musical cupcakes. Did We Under-Pivot The First Time? It’s hard to let go of an idea, and even harder to put aside all the work you put into something that isn’t really working out (yet — musical cupcakes will eventually take off). What I find interesting in retrospect is that we always thought of ourselves as music company, so when it came time to find something new to do, we didn’t consider anything beyond music. For a while, we ignored what was actually working (our wacky signup questions, and eventually our Facebook apps) until our limited finances coincided perfectly with our traction in the Facebook ecosystem. My unsolicited advice to anyone looking to “pivot” — look for something that’s working, even if it’s unrelated to the product. Maybe you’ve formed relationships that could be leveraged for something new, or maybe you just have a team that works really well together. If you truly need to make a radical change, don’t think about what’s not working (“we have a music site with no music”). Think about what IS working (“we’ve figured out how to build viral Facebook apps”). That’s how you end up pivoting to something that will actually work, not something incrementally better. Great to hear a bit more of the company’s backstory. Makes me think about Bluedog’s attempted pivot (before anyone called it that). Wish we had done as good a job of pivoting as Context Optional did. So happy it all ended well for you.